If you’re looking for a way to improve your rummy game skill, then you are the right place. 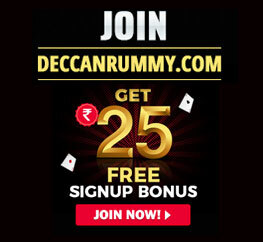 Applying all the rummy skills and strategies is very vital to attaining success in online rummy. 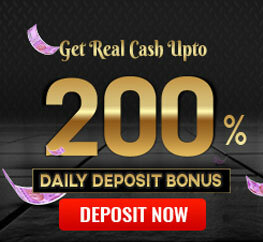 Expertise in online rummy is something you can get only with practice. The more you practice, the more you become better. Playing more games helps you learn the best tricks and tips appropriately for all occasions. Before getting to the tips, you must fully understand the basic rummy rules and how to play rummy game online. Here, we will walk you through the rummy tips and strategies and the ways with which you can improve your overall game. Deploying these rummy tips and strategies would prove invaluable and give you a competitive edge over other players hitting our tables. By the time you finish reading about rummy skills, we can assure you that you can play rummy with lots of confidence even against experts in the game. We have given some rummy tips below with which you can easily outclass opponents at any level. Arrange the cards based on the suits as soon as you receive them. 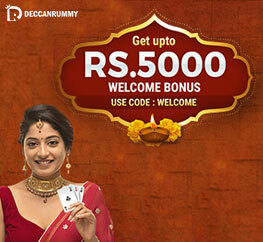 Deccan Rummy provides the ‘Sort’ button for the convenience of players to separate cards based on their suit. Arrange the cards in alternate color groups. Eg: Black-Red-Black-Red which is Spades followed by Diamond followed by Clubs followed by Heart. A pure sequence or life is group of three or more consecutive cards of the same suit that is formed without any wild card. The most important priority in a 13 card Indian rummy game should be to aim for pure sequences. A pure sequence will reduce your points at the end of the game. Check for the pure sequence after sorting and arranging the cards - If you have one, start building other sets/sequences; if you have none, try making a pure sequence on priority. Many online players who are successful have become one mainly with the help of their observation skills. Players must refrain from discarding a card that could be useful to their opponent. Rummy experts can predict the combinations their opponents are trying to make based on the cards they discard. Before discarding any card, players must check if their opponents are picking cards too frequently from the discard section. For example, if you see that your opponent has picked 3♣ and 4♣ from the Discards Section, you should not discard cards close to them like 2♣ and 5♣. Deploy this strategy constantly - most successful rummy players use this strategy to gain initial dominance. Most of the online rummy players are clueless about this strategy. A lot of rummy players get excited about the Joker cards as they help them to complete the game quickly. However, you must remember that joker cards cannot be used to meld pure sequence according to the 13 card rummy game rules. For example, if 6♣ is the wild joker, players wouldn’t use this card to meld a pure sequence; In this case, you can utilize this opportunity to discard cards close to the wild joker like 5♣, 3♣ and 4♣. Your opponent would not like to waste a Joker card by forming a pure sequence with it. Many modern day rummy players are oblivious to this classic rummy trick and retain such cards unknowingly. Most of the players discard high-value cards as it is a general knowledge that higher value cards give too many points on occasions where you lose. However, if your opponent picks your discarded high-value card, a chance is that he is trying to make a sequence or set with it. For example, if you discard K♦ you can predict that he has formed a set or a sequence with the card. In this case, do not drop any card close to it like Q♦, J♦ or A♦. However, it is quite safe to discard K of another suit if you have, as there are fewer chances to continue the set of K. You can use this classic rummy trick while playing online rummy for free and if it works you can extend it to cash tables. One of the best ways to win a 13 card online rummy game is to hoodwink your opponents. You can confuse your opponents by picking few cards from the open deck and discarding low-value cards initially. Your opponents may think that you would declare the game anytime and discard cards in a hurry, which might help you on occasions. Rummy Experts often employ this strategy to defeat their customers. Also, try to throw a few cards as bait and see if your opponents are picking it up. You can have an idea about the sets/sequences you are trying to make – It’s a gamble but might very well be worth it. As you learn each skill we have mentioned here, try it on free rummy games or tourneys to test your knowledge level.